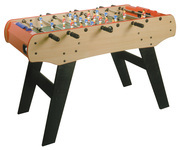 This version falls almost right in the center of the line in terms of the quality of tables made by Rene Pierre. 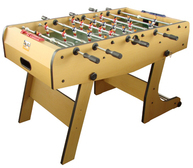 It is deemed a semi-professional table and has great bones in a European-style play. 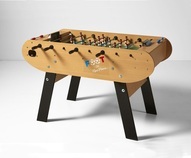 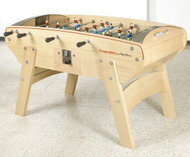 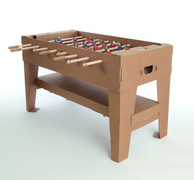 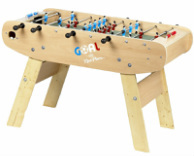 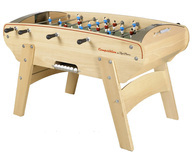 It makes a great table designed for home use that families can gather around and learn the sport. 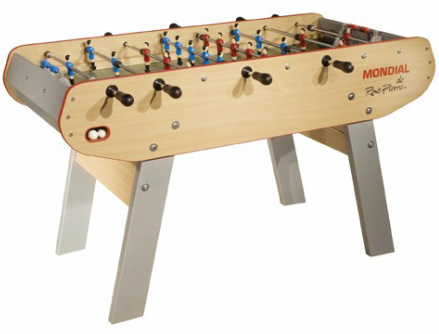 The single man goalie and rounded corners, great ball control, rounded handles, and angled legs are what set this table apart from the American style of speed and fast action.